This feels weird. I've never blogged before, what am I supposed to say? Well I suppose I should just jump right in and get the awkward introduction over with, shall I? My name is Alyson and I'm a stamp-aholic. Well, to be honest I'm a buying-crafty-stuff-and-imagining-all-sorts-of-wonderful-things-I-could-make-with-it-aholic but that doesn't have quite the same ring to it. I've made hundreds of fabulous cards in my head, but there they've stubbornly stayed regardless of how much more 'stuff' I buy. And hey, I might just win one and thereby justify this insane number of stamps and paraphernalia I own and have never used. 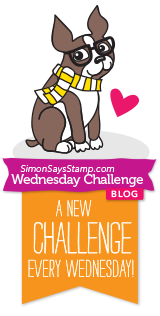 So here I am, starting a blog with my abysmal photography skills (I know, I know - sorry) to enter a challenge with the very first fully stamped card I've ever made. So anyway, this is the card I made for the Simon Says Stamp Wednesday Challenge where the theme is 'Make it Masculine'. I'm also playing along at The Paper Players where the theme is 'Masculine'. I've stolen cased a wonderful card design by Joan B at Dear Paperlicious - one of my current crafty-crushes. I'm not sure of the proper blog etiquette so I've linked to Joans' blog post. Thank you for the inspiration, Joan, I hope you don't mind. I love it so much I think I'll be using it often. I love the graphic, yet whimsical feeling it has - it makes me happy just to look at it, and that's what it's all about, isn't it? Welcome to the wonderful world of blogging, Alyson! You are not alone, in the hoarding-of-beautiful-craft-stuff. 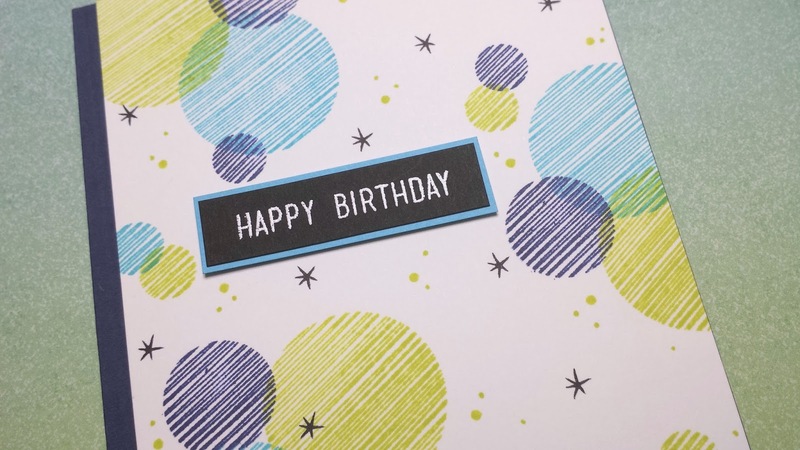 :) Love your card, and really enjoyed reading your very first blog post. So glad you're sharing your creativity! Such a fabulous card, love the colours. Congratulations on taking the first step into blog land, hope to see lots of posts. 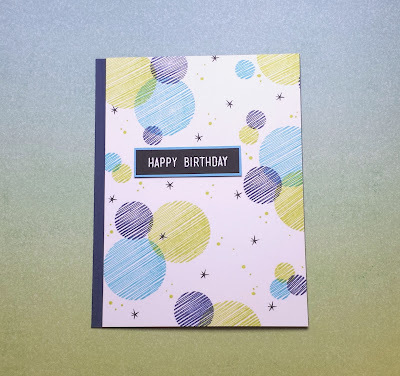 Well, so far, so good - what a fabulous card Alyson - I'm so glad you chose to share your first blog post and first stamped card with us over at The Paper Players! I love the zingy lime with the blues. Thanks for joining in with my masculine challenge over at The Paper Players this week! Great job on your first post, Alyson and beautiful card! Let all those wonderful words and ideas in your head LOOSE and let them create. It is freeing and will make you happy. If this card is any indication of your talent, then you have nothing to worry about. ENJOY - and thanks for sharing this first post and card with The Paper Players! Hope to see you there each week. Fabulous card to start your blogging journey with! Love these sketchy circles and the color combo is wonderful. Thanks so much for joining us at The Paper Players. Glad you gave this blog thing a try! Welcome to the awesome world of crafters! Super cute card. Love the colors and the placement of those circles.